Natural pumpkin puree with a pleasing orange colour. 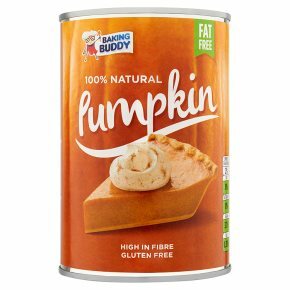 The perfect ingredient for making delicious pumpkin pies, tarts, and pumpkin tray bakes. 100% natural. High in fibre. Low salt. Fat and gluten free. Suitable for vegetarians.